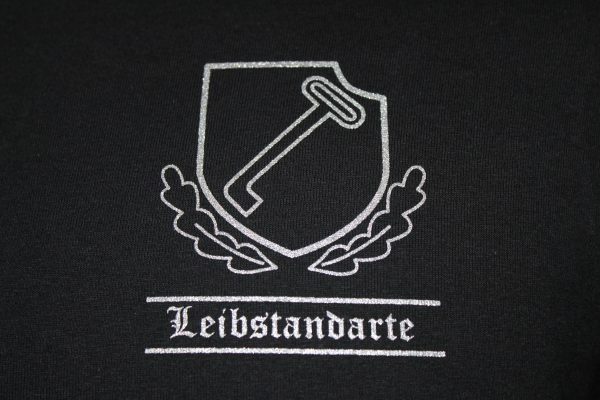 The 1st SS Leibstandarte Adolf Hitler T-shirt is a single sided print in black. 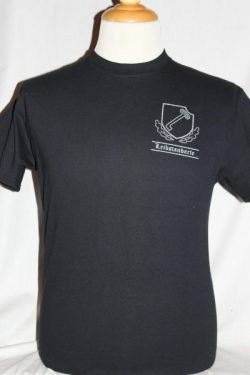 Front Design: Left chest key insignia with oak leaves and text. Founded March 17th 1933 as a personal bodyguard regiment for Adolf Hitler. Grew to an elite Panzer combat division during the war. Fought on both the eastern and western fronts.